Be kind. Ask yourself “Is this kind”….Are my actions kind? Is it kind to say what you just said? We can all say things we regret, but the more often you ask yourself this question, the more kindness will flow….kindness is magic… To me it is more important to be kind above all..love is kindness. Kindness is love. And it is also about being kind to yourself. Open your mind. Dare to question your belief system. The way you have been conditioned to believe what you believe. Not just religion. But what you eat. What you wear. What you think is okay. Are the arguments for keeping doing something yours? Or are they just planted there by society. I’m embarrassed over a few things I have said before that I believed to be true just because I´d heard it somewhere or read it many years ago. Things change. Read. Do your own bit of research. Be mindful. The negative thoughts that pop into your mind….Wether its negative self talk, or you’re thinking negatively about someone else….whenever it happens I’ve started acknowledging it, asking myself what does this thought do to me?? It harms me..it doesn’t feel good…it doesn’t do me good…Yes! Your thoughts harm you….not the person or the situation, but you! This one you can’t go wrong;) With any hard situation…..add a dash of love to everything and everything gets better;) Love all animals, not just pets. Love our nature. Love your health. Love your body. Love your life (if you don’t – change it…or start with parts of it you can change and the rest will follow). I believe in compassion and love for all animals. It´s also about love for our planet. It´s about how animal agriculture is a major contributor to deforestation, air pollution, water use, grain and soy for feeding animals, land degradation and an animal agriculture that is not sustainable. Still not convinced? Read the UN report on Animal Agriculture here. Then you might ask what about soy? Vegans eat that. Well, not all vegans, but many. If you care about soy production being harmful, think about this..about 85% of soy production goes to feeding animals like pork, chicken, cattle and farmed fish. So maybe actually the best thing you can do when caring for the environment, for the deforestation…might be to stop eating meat. Then there is the health benefits! Wohooo! Red meat and processed meat (that is all bacon, ham, canned meat, sausages, dried meat eat.) are classified as carcinogenic for us and enough convincing evidence that this causes cancer. Read what WHO says about red meat and cancer. Then there is heart diseases, clogged arteries from animal fat, high cholesterol, diabetes…Urgh..you name it. So many diseases linked to consuming animal products, still people keep eating more than we’ve ever done in the history of humans. And saying it´s their personal choice. They choose to eat meat every day. Maybe you don’t choose yourself? The food industry has chosen for you. And they are of course driven by profit. The more meat and dairy you consume, the more money they make. And is it personal when it harms others? Just a thought…The minute you decide to eat different from what they want, then you chose. Don’t misunderstand, I don’t mean that only vegans chose. I know quite a few people to take conscious choices when it comes to both bying local produced food and more ethical food. Refusing to buy products made with palm oil, or only products that are not tested on animals is a couple of examples. 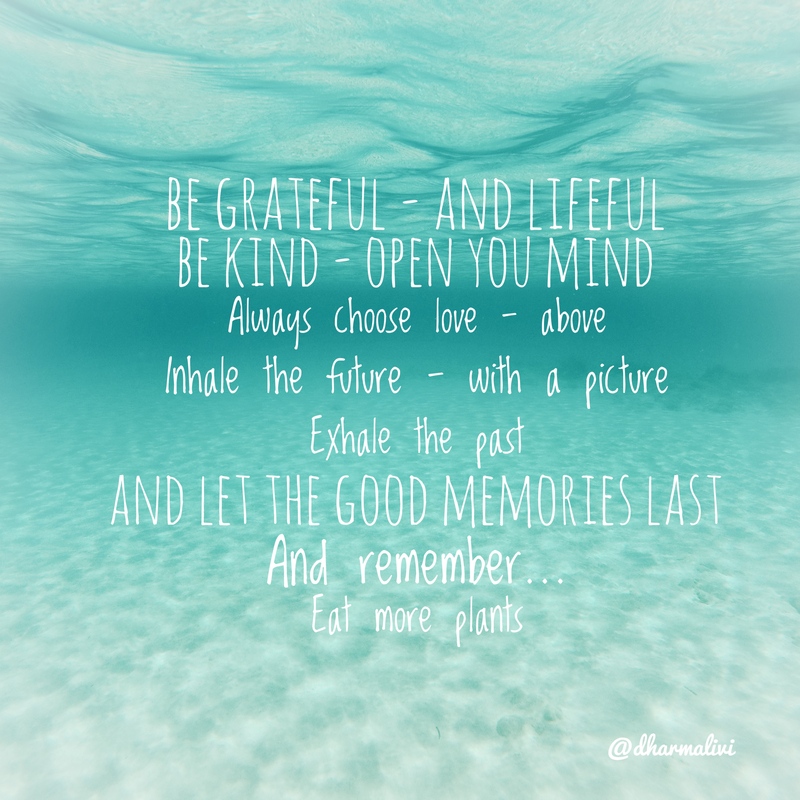 Breathing out everything that doesn’t do you good….letting go of old thought patterns from the past and old negative memories, but treasuring the good memories you. Better and kinder for the animals – Love and compassion for all animals, not just pets.. Better and kinder for your soul and your health……High vibration food, living food… not dead corpses…full of pain, suffering, stress, hormones, and fear!! Better for the planet – The way animal agriculture is operating today is nor sustainable or ethical. If you eat meat, dairy and eggs and don’t think it is a belief system you’re following, please watch this video (it is no horrible pictures or abuse of animals, just an explanation of belief systems and why we eat the way we do). «The Secret Reason We Eat Meat» by Dr. Melanie Joy. Some people may also say «People have been eating meat from the dawn of time».. and referring to cavemen and tradition/culture. Well, we’re not cavemen anymore, and we no longer need meat to survive. This is evolution too. When we have an abundance of plant based foods, it is easy. When you have a choice to not eat someone and not contribute to an industry that clearly hasn’t animals best interests and is harming the environment, why not try the other delicious options out there? It is not about being perfect, it is about trying our best to cause the least harm. And you don’t have to go vegan, or even say you have to give up anything, just by making a few changes, you actually do something. We all have power to do something. No one likes animal cruelty. They say ignorance is a bliss, but not for the animals. You can say «Well, not all animals experience cruelty» or «I grew up on a farm, so I know». Not all animals, but how do you really know what has happened to the meat packet you buy at the supermarket? I used to think Norway was so good when it came to animal welfare and farming. Then cases of animal cruelty around on pig farms, dairy farms, sheep farms are being documented all around in Norway. It´s sad, but true. Here and here and here is just a few of them. And these are the farms that deliver to big companies that you buy meat from at the supermarket. So really how do you know how these animals have been living there lives? And to tradition and culture, I say well, a lot of things has been going on in the name of tradition, that we today find not morally right or even close to okay. Slavery for one thing, discrimination, how women were treated. It´s not even that long ago women didn’t have rights (and still don’t in certain parts of the world) And when it comes to animals to name a couple: circus animals, animal testing, bull fighting, boiling lobsters alive and foie gras. These practices have been banned or are about to be banned in the future in several. Why is foie gras banned? It´s funny how vegans are looked upon having a belief system, but we forget there’s one you grow up with. Are you just following the same belief system that you were conditioned to follow? It´s nothing wrong with that. I did it too, until I actually decided to decide for myself. Not the traditions. Not the culture. Not the commercials telling people to buy meat, eggs and dairy products. Isn’t it weird growing up believing milk gives you strong bones and still most of the worlds population are lactose intolerant? Where as the countries with the most osteoporosis are the ones drinking the most milk? Then there´s the link to cancer too. The food pyramide – who do you think are influencing whats going on it? Well, its about to change, or well it has changed in Belgium, where veggies, beans and tofu is on the top and processed meat is completely taken off! «Meat just as unhealthy as fizzy drinks, chips and pizza, new ‘food pyramid’ campaign warns».